Are you new to the UFCW or just looking for more ways you can play a more active role in the union? Here’s a quick list of some of the ways you can get started. Local unions have regular membership meetings that all members are welcome to attend. This is where important business, like upcoming negotiations, formation of bargaining committees, planning for community events and more is discussed. Because it is impossible to cover all the ways you can get active at your specific local union, attending one of these meetings can be a great way to dive in and learn more about what is going on and how you can be involved. Many local unions have regular food drives, charity events, community days, and more. The UFCW is an active participant in Light the Night and has raised more than $60 million dollars to support the Leukemia and Lymphoma Society. From disaster relief to raising money for other UFCW members when they are going through tough times, the ways UFCW locals participate in their communities are deep and diverse and there’s something for everybody. Check your local union website or Facebook for past activities, or ask about what’s on the calendar for this year at your next membership meeting. Do you have a copy of your contract? Have you read it? By reading and understanding your contract, you will better be able to spot when your rights, or the rights of your coworkers, are being violated. Knowing what you are currently entitled to can also help you keep an eye out for what you think is missing and would be helpful to add in the future. Each worksite has a Union Representative (also called a Business Agent at some local unions) — union staff regularly visit your worksite to inform you about what’s happening around the union, and help make sure everyone’s rights are protected. Each workplace also has one or more stewards. A steward is a union member like you who has been trained to enforce co‑workers’ rights in the workplace and speak out on union issues. It is good to have the names of your stewards and union reps along with the best way to reach them so in case an issue comes up, you can quickly reach out for help. In the Weingarten case, the Supreme Court ruled that Union-represented workers have the right to Union representation during all meetings or discussions with supervisors or managers that the member reasonably believes might lead to discipline. These meetings or discussions include discussions on the work floor, in work areas, offices and even outside the facility. At the beginning of the meeting, this law requires the supervisor or manager to disclose all meeting topics and to give the member a chance to ask for a representative. Members can demand the presence of any on-duty steward. If none is available, the supervisor or manager must postpone the meeting until a steward is available. Companies may not punish members for exercising their Weingarten rights. Encourage all your coworkers to get familiar with and exercise their Weingarten rights. This is important because a member waives the right to a witness if the member does not speak up and expressly request a witness. Many local unions have either Facebook pages, websites, or other places online where they post updates about meetings, events that are happening, or other important news. Not only can you stay up to date on opportunities that might impact you, but you can help pass on information to your coworkers. At some local unions, stewards must be nominated or appointed. If you are interested in becoming a steward, talk to your union rep and find out what the process is for your workplace, what training is required, and what your responsibilities would be. Becoming a steward is a great responsibility, but also a rewarding way to stick up for you and your coworkers. UFCW OUTreach is a constituency group dedicated to building mutual support between our union’s International, regions, and locals and the Lesbian, Gay, Bisexual and Transgender (LGBT) community and their allies in order to come together to organize for social and economic justice for all, regardless of age, race, gender, creed, color, sexual orientation, or gender identity. Together, we will ensure full equality for LGBT workers on their jobs and in their unions. Together, we will build a labor environment that cherishes diversity, encourages openness, and ensures safety and dignity, as we move forward in the spirit of “an injury to one is an injury to all,” opposing all forms of discrimination—not just against members of the LGBT community. 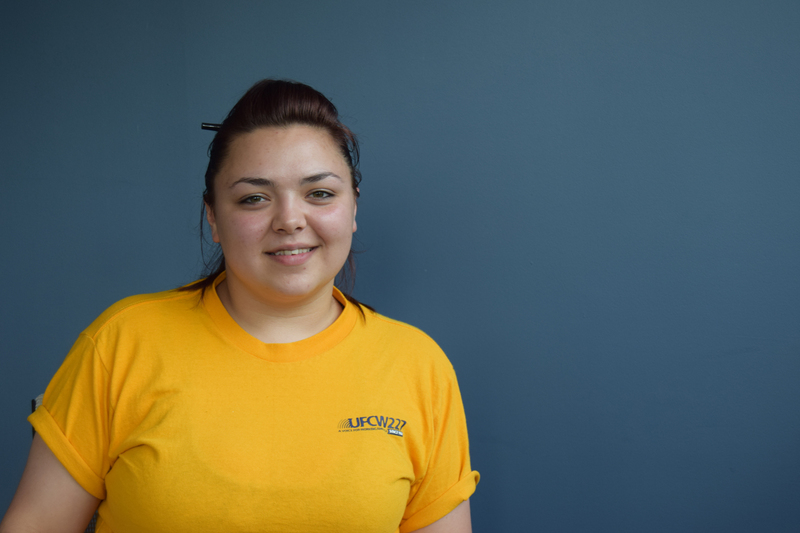 Together, we will educate all UFCW leaders, staff, and members about the LGBT community, and build support and solidarity for the UFCW in that community and all communities that share our union’s common goals and interests. Together we will fight to achieve equality for all members of the LGBT community in employment, marriage, immigration, and wherever else inequities exist. Together, we will work closely with Pride at Work and other organizations to achieve mutual goals and make our shared vision for equality for LGBT workers a reality. Equality, education, understanding, and solidarity are our mission. The United Latinos of the United Food and Commercial Workers Union (UFCW) is an organization of men and women who have joined together to promote the issues and pursue interests important to Latino workers. “Working Toward Latino Empowerment and Building Latino Pride!” We have a simple but powerful purpose of empowering Latino men and women within the UFCW and within our communities. We are also building Latino pride which will help others better understand our cultural differences. Our diversity will help make our organization and our society stronger. The United Latinos will help teach others that through UFCW membership, there is a better way of life that includes wages, health benefits, pensions, job security and dignity. The UFCW Women’s Network, founded in 1988, works to motivate and encourage women to become active in their local union so they can contribute toward building and strengthening the UFCW. More than half of the UFCW’s 1.4 million members are women — and we are a powerful resource for our union. The active participation of women members in the UFCW enhances our strength at the bargaining table, in organizing campaigns, and in the political arena. The mission of the UFCW Minority Coalition is to develop a unified voice and promote diversity and inclusion within the labor movement. The Minority Coalition strives to be a viable asset to the growth of the United Food and Commercial Workers, labor, and communities in need. 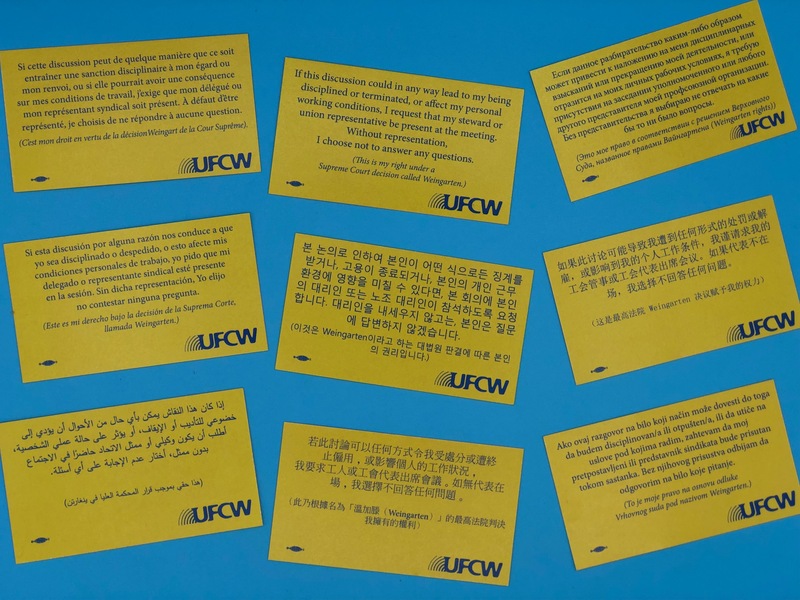 There’s a ton of benefits that UFCW members are eligible for just by being members, and you can help get the word out to make sure your coworkers know about them. Spend some time on MyUFCW.org and look through the different discount programs and opportunities like UFCWFreecollege.org, Online Language Classes, GED programs, Scholarships, and more. Keeping an eye out for your fellow coworkers not only is a great way for you to help each other, but is part of establishing a culture of caring about each other. We mean it when we say we are a family, and you are an important part of making sure every UFCW member feels welcome and taken care of.